It’s frustrating when we go to the bathroom and discover the faucet’s leaking or there’s water all over the floor from the toilet. Lavatory faucet repair can be difficult and may end up making the problem worse if not done correctly. Your household fixtures may seem simple, but be careful of these common fixture problems. It doesn’t matter if you got a top of the line faucet or something off the bargain bin, eventually, problems arise. Faucets are made up of several parts and any one of them can cause a problem. You could have a leaky faucet, water coming from the hot or cold water valves, low water pressure, or many more. We’ve seen nightmarish toilet problems in our years servicing the community, from toilets overflowing with sewage that fills the bathroom floor, to toilets that never stop running, not to mention clogs that refuse to clear. The list goes on and on. Some of these problems can easily be solved by you, such as plunging out a stubborn clog or replacing a ballcock to stop a running toilet. If the clog refuses to budge or it’s just too much for you to handle, then call us. The garbage disposal is one of those machines that’s scary to try and fix yourself. We’ve all seen those horror movies where someone loses a wedding ring or tries to stick their hand down to fix it and…well…we all know how that ends. It’s easy over time for garbage disposals to get clogged, smell bad, or stop working. It’s a machine, and as such it occasionally needs repair. Keep all of your fingers and contact our licensed team if something goes wrong with your garbage disposal. You likely spent quite a bit of money on your fixtures, so let us help fix the problem and make sure they come through the process unscathed. The water that comes from under the ground or flowing in a river is vastly different than the water that comes out of your faucet. Natural water contains minerals and other contaminants that impact everything from its flavor to your health. If you’re doing plumbing remodeling, then you might consider improving your water quality, so let’s talk about the difference between water treatment and water softening. When a person says their water is hard, it means it contains high levels of minerals such as calcium or magnesium. The water traditionally gets these minerals as it’s flowing underground and passes through rock deposits that contain these minerals. As the water passes through your pipes, it can leave deposits that will eventually clog the pipes and cause sewer problems. It can also stain clothing and fixtures. 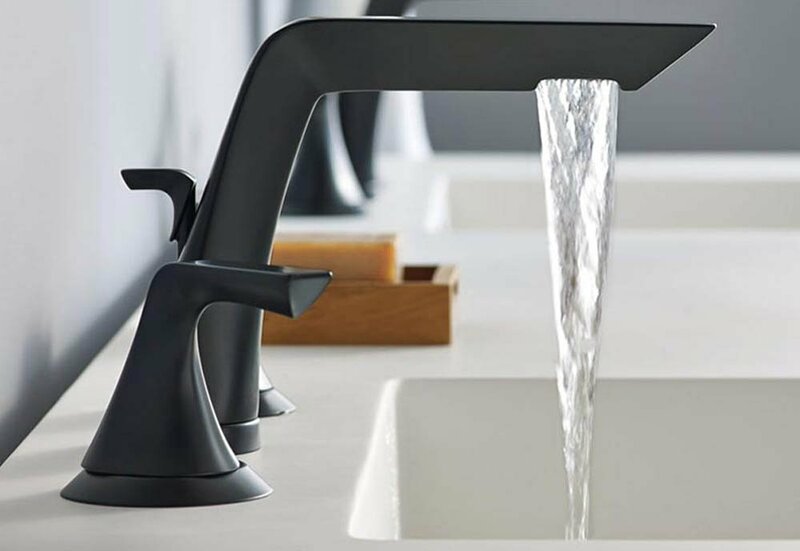 The World Health Organization stated there are no significant negative health effects from hard water, but the impact it can cause on your pipes, clothing, and fixtures makes it a problem that should be fixed. Water treatment is a blanket term to cover anything that helps improve the quality of your water including water softening. Water softening is only a way of removing the minerals making the water hard. Water softening often uses salts that can adhere to the mineral ions in the water and remove them. More general water treatment, like what’s done to a municipal water supply, uses a wider variety of treatments, such as reverse osmosis. We mentioned earlier how hard water can negatively impact clothing, so many laundry detergents contain water softeners including sodium carbonate to eliminate the minerals from the water during the wash. A good water softening system can help keep you from calling a friendly plumber in the future. What Does Water Treatment Do? While water softening removes the minerals that cause hard water, water treatment can remove all types of contaminants depending on the type of treatment. There can be heavy metals in your water including lead and mercury or even radioactive elements such as radium. Cities and municipalities use complex water treatment systems to remove many of the contaminants, but take our plumbing advice: remove additional contaminants with an in-home water treatment system. Hansen’s Plumbing is available to help you with hard water or water treatment. Let us provide you with systems that improve your water quality.